Same great quality as our adult tee, cut for women. Shorter length, smaller sleeve and shoulder, 1/2" seamless colarette. 100% cotton, pigment-dyed. Available in Violet and Neon Pink. 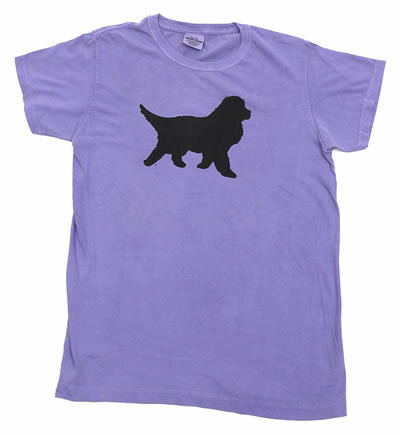 With our solid newf on the front, and "Black Paw Studio, Amherst, New Hampshire" on the back.